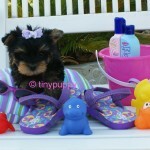 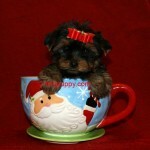 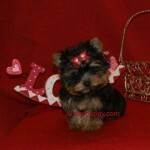 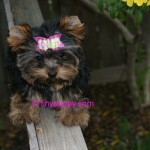 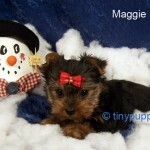 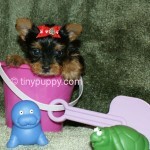 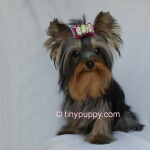 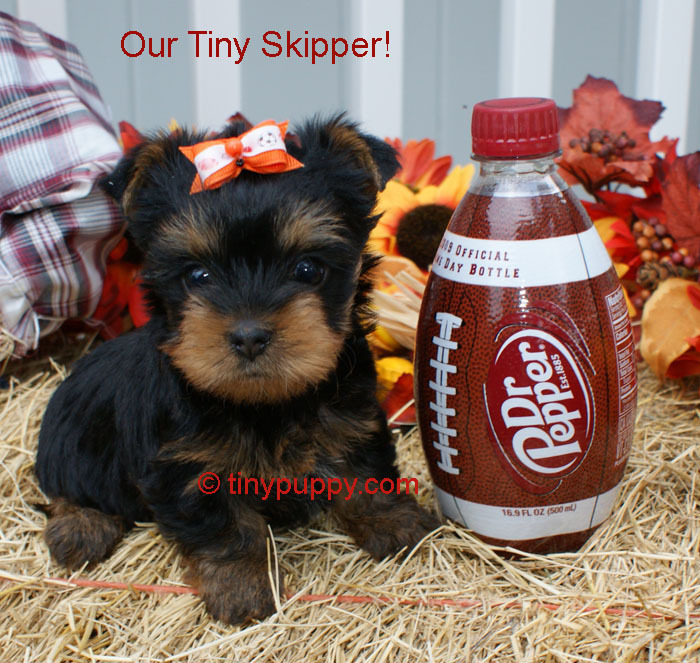 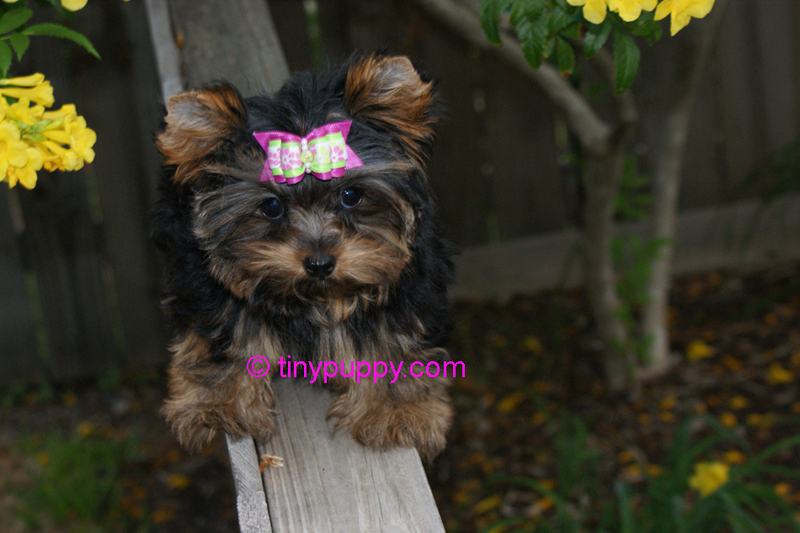 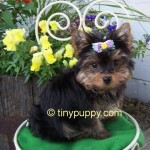 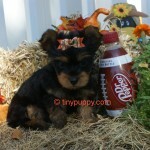 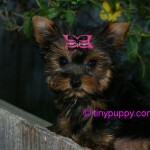 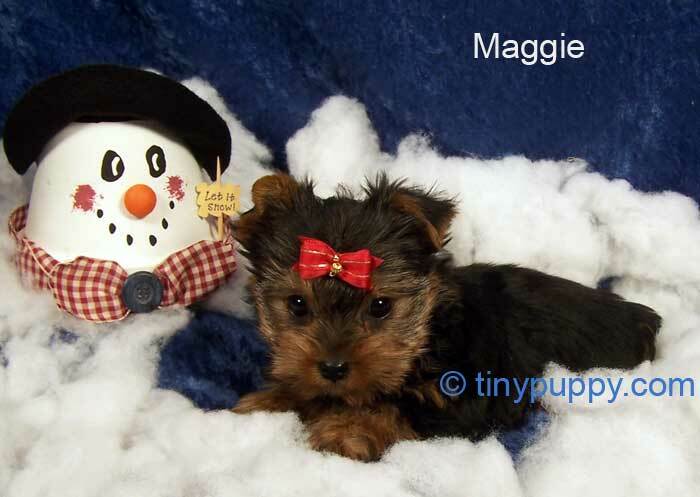 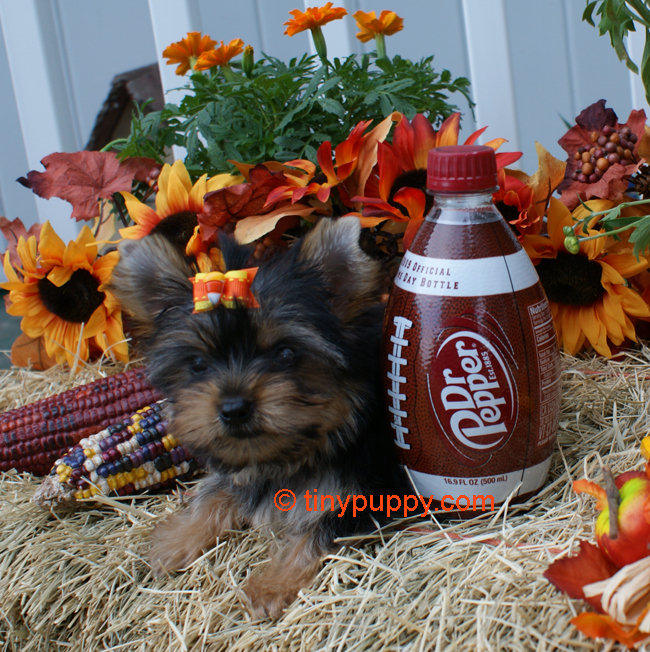 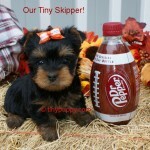 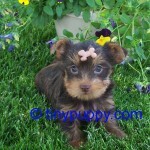 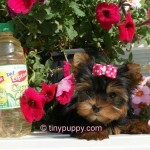 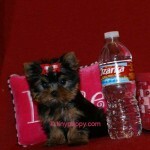 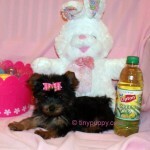 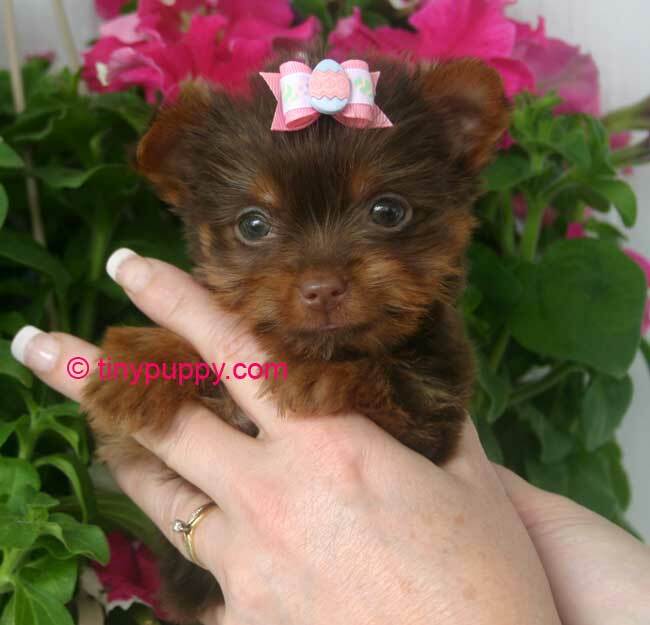 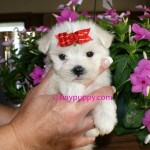 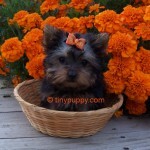 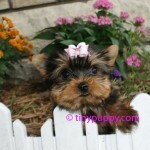 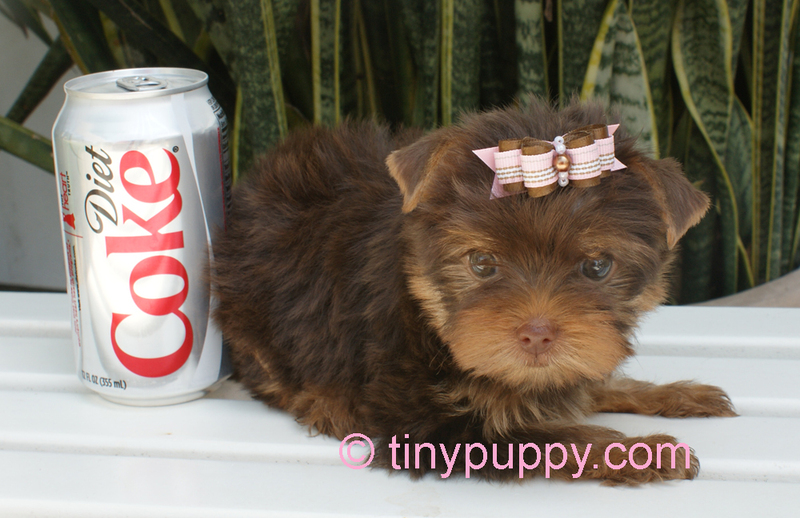 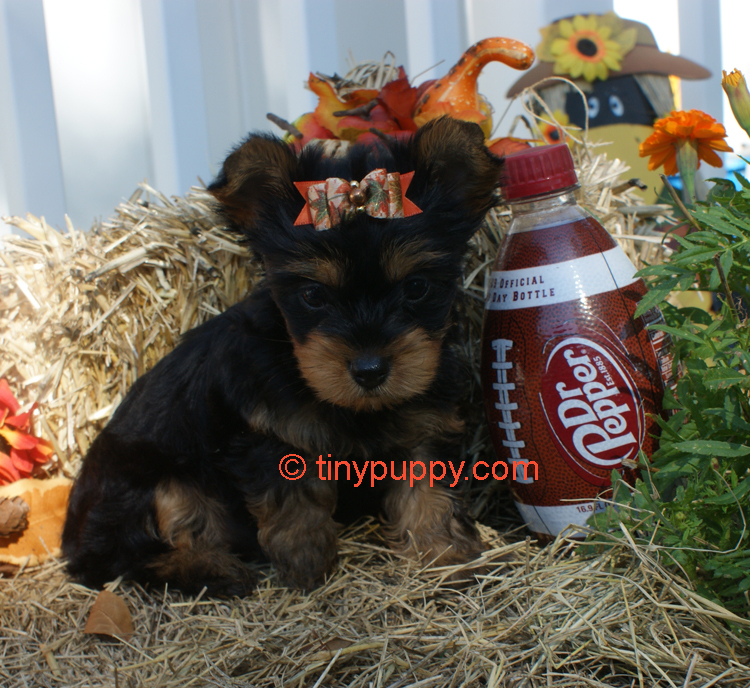 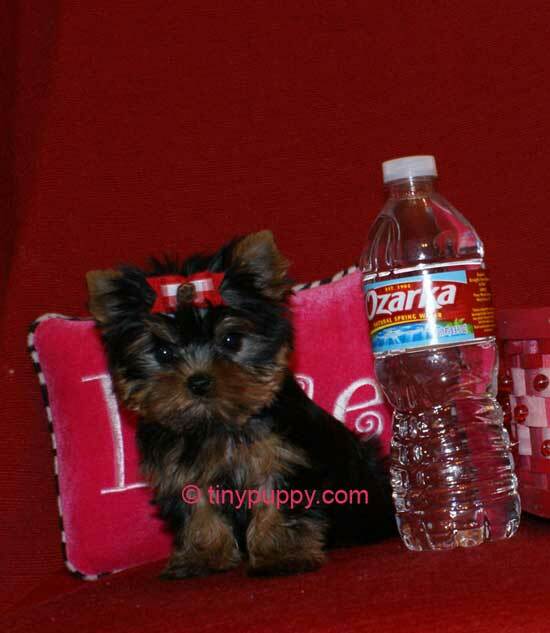 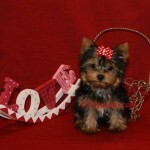 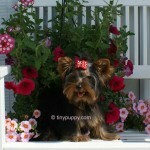 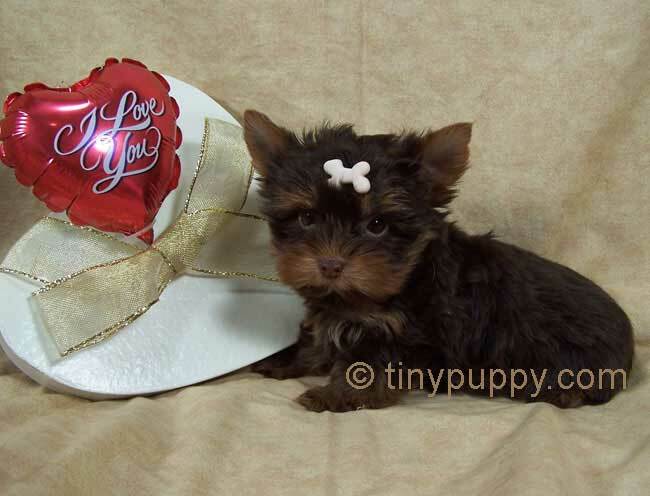 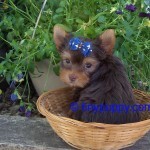 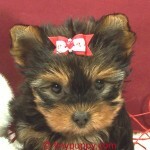 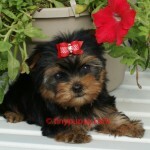 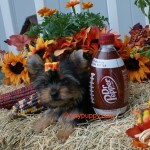 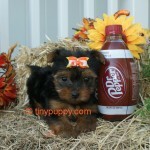 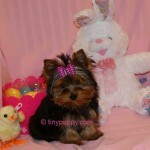 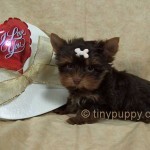 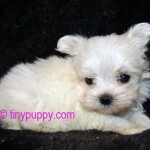 Photo Gallery of Sold Teacup Yorkie Puppies! 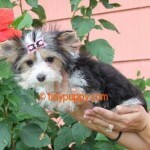 These are some of my beautiful Teacup Yorkie and Maltese that puppies I have sold over the past 9 years. 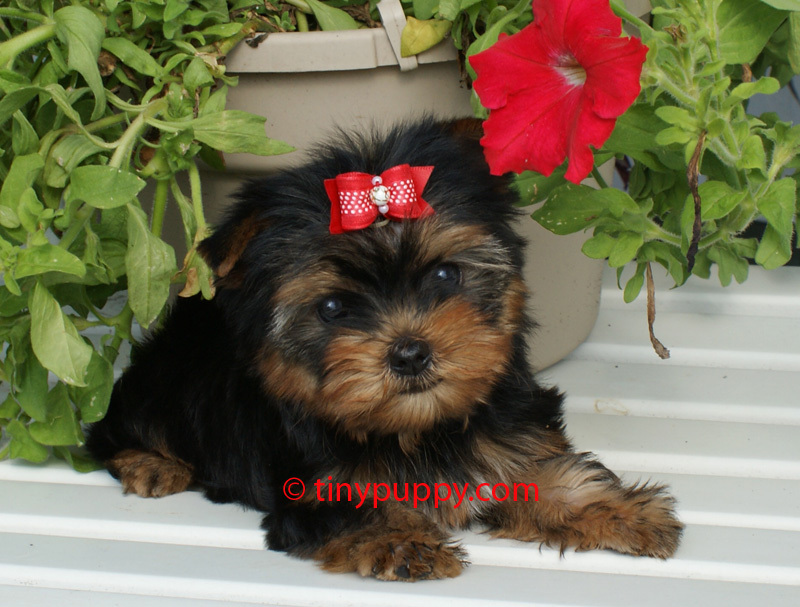 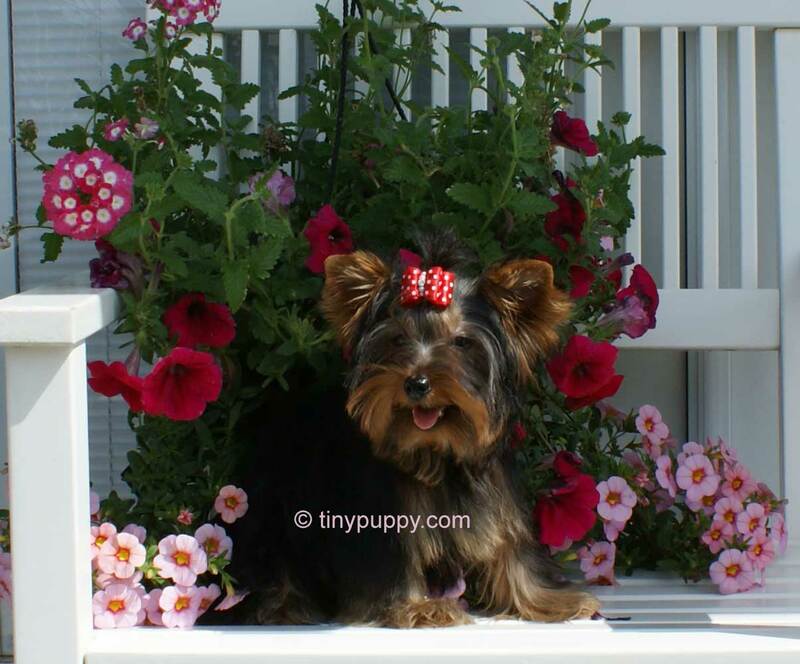 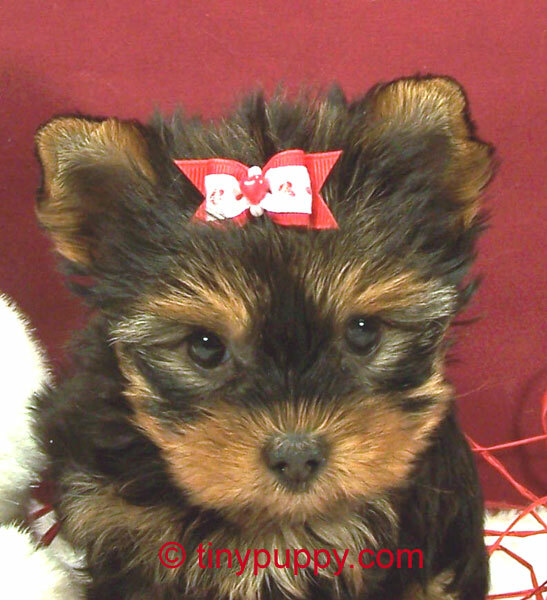 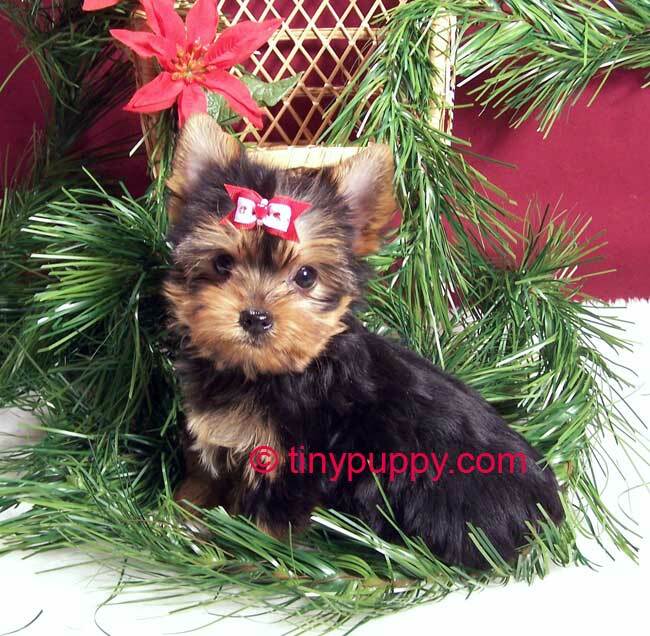 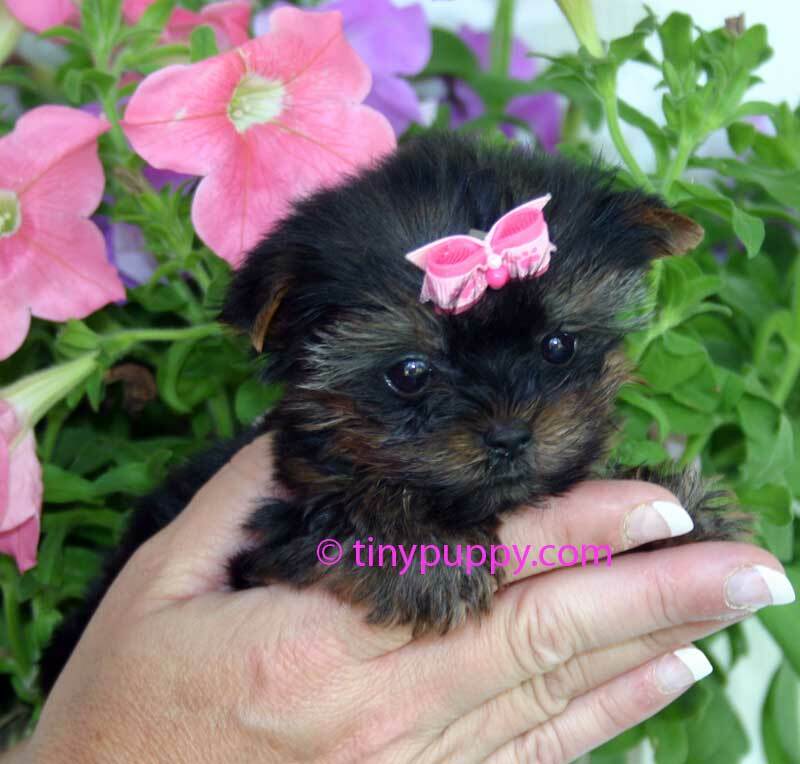 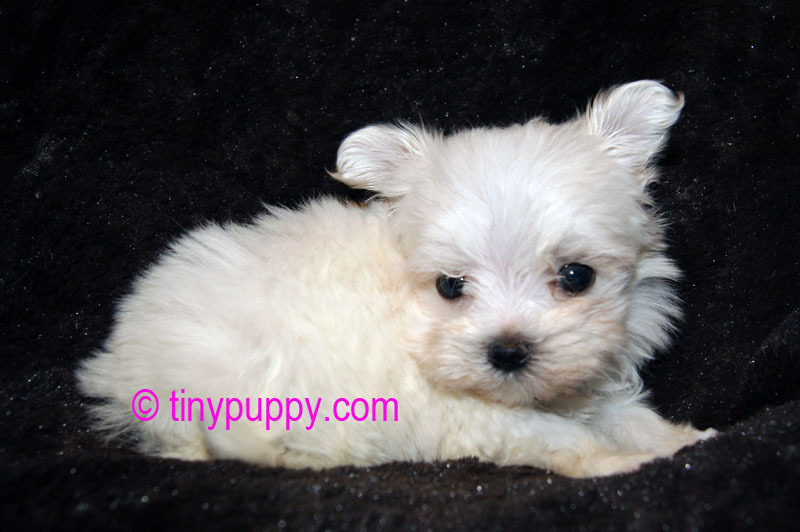 On this page you will see the different colors that tiny Yorkie puppies can have. 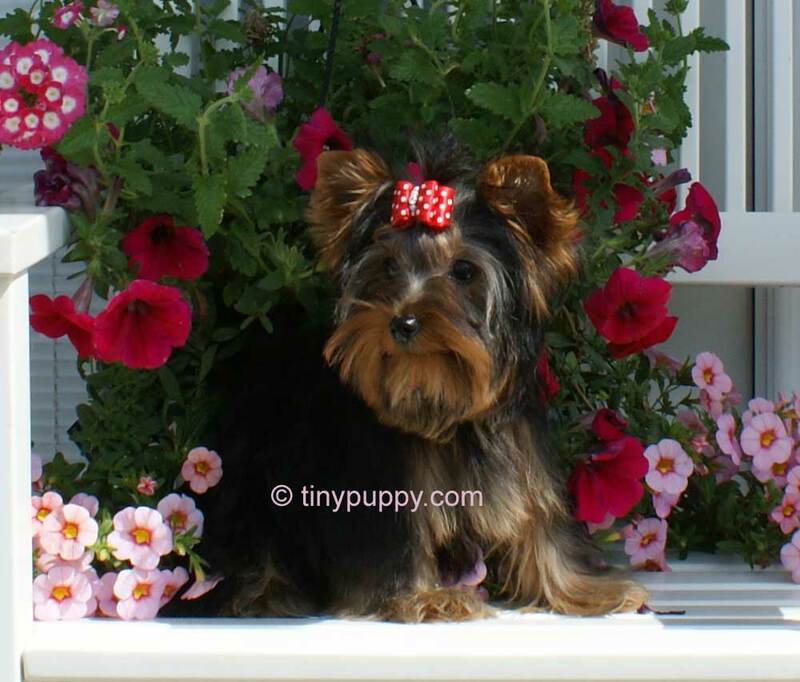 Black and Tan Yorkie puppies, Blue and Gold Yorkshire Terriers, Chocolate and Sable Teacup Yorkie Puppies are just some of the colors you will see. 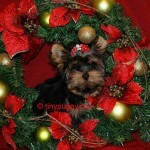 Enjoy the pictures but please remember they have a copyright and please ask permission before using any of my photos. 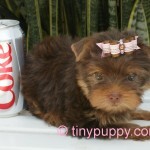 I think taking the pictures of the puppies is one of my favorite things to do. 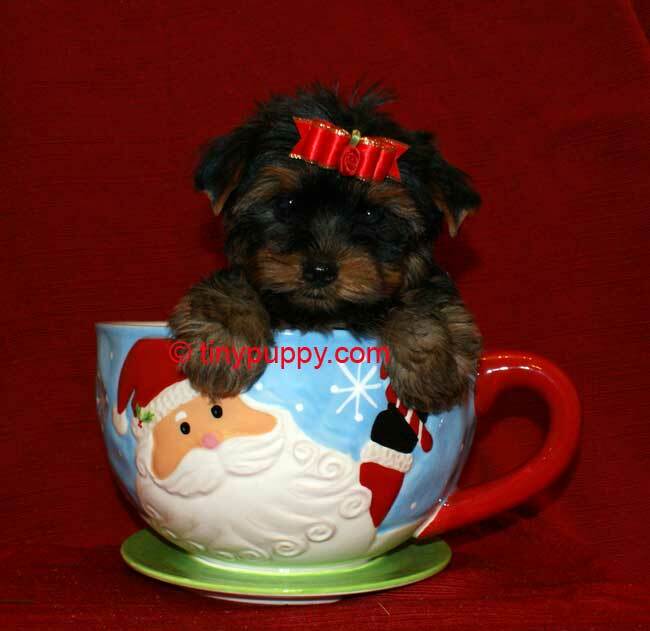 Trying to capture the personality and size of these tiny teacup Yorkshire Terriers and other teacup puppies is something I have taken pride in. 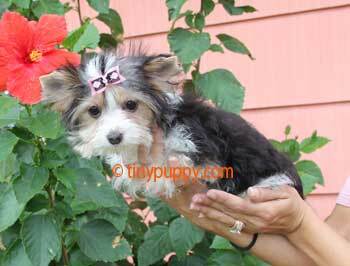 The terms Teacup Yorkie, T-cup Yorkshire Terrier, Micro Yorkie are all terms I use to describe the size of my Little Yorkshire Terriers. 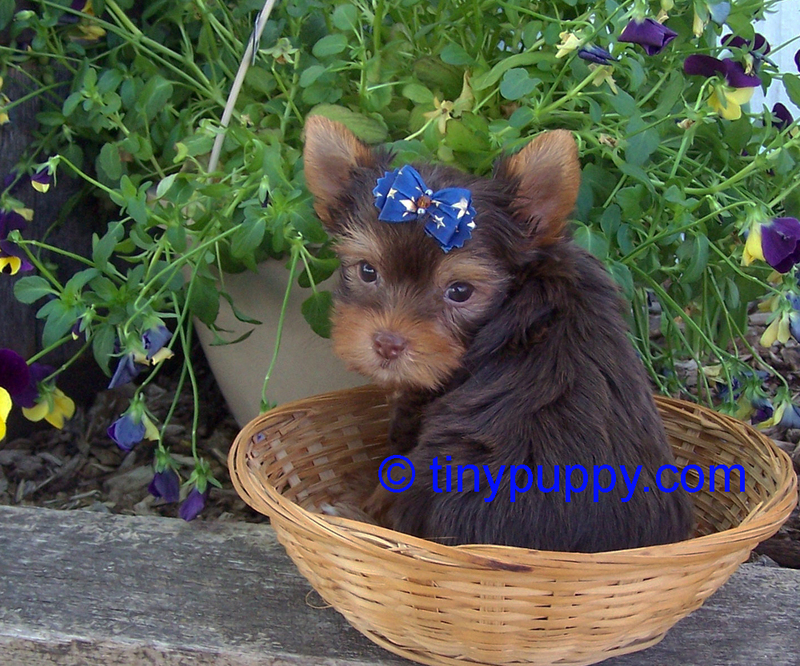 These terms are only adjectives I use to let you know just how small they are. 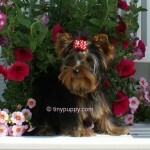 Even though they are tiny they “think they are big” and are regular Yorkshire Terriers that we love. 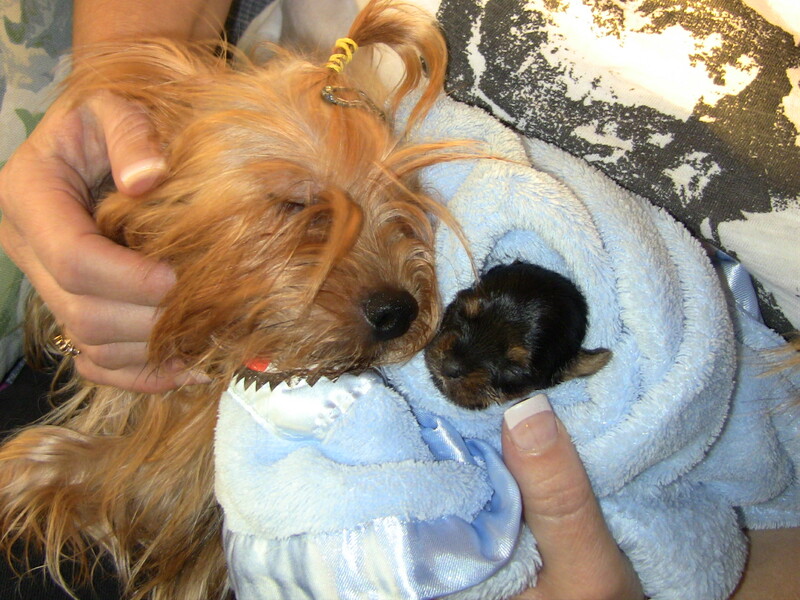 Thank you for the years of support you have given me. 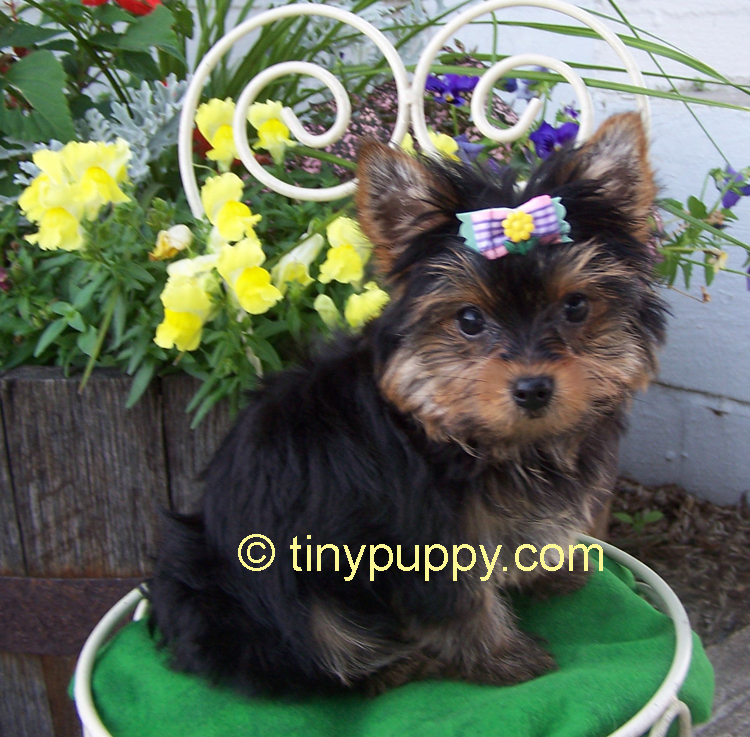 Click here for my available Teacup Yorkie Puppies. 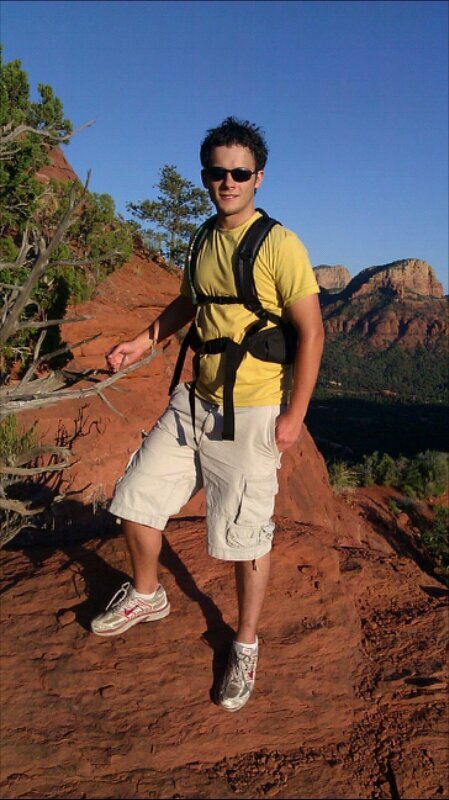 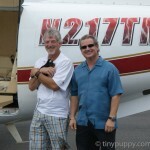 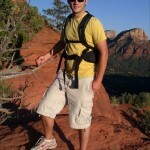 We will fly or drive your puppy to you! 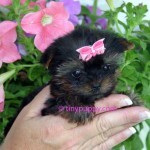 Baby fits in the palms of my hands. 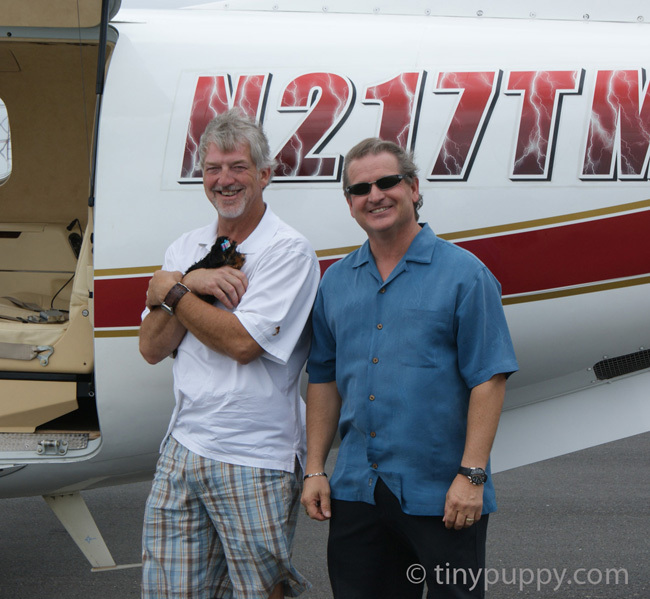 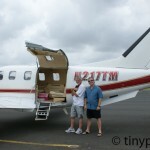 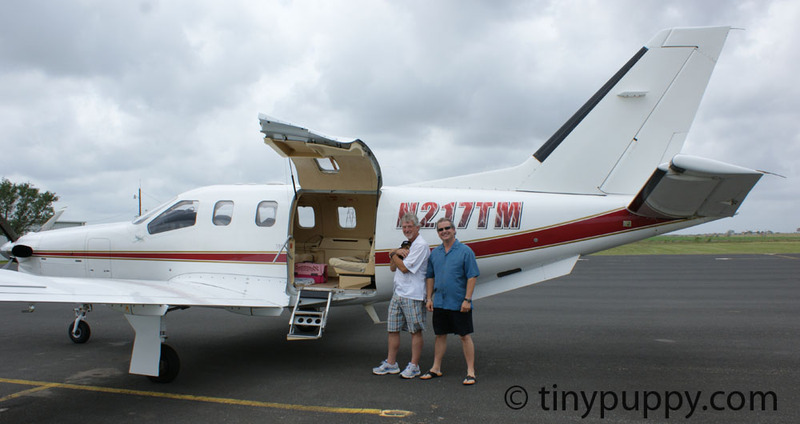 Happy Customer flying In to pick up Birthday Puppy for his wife. 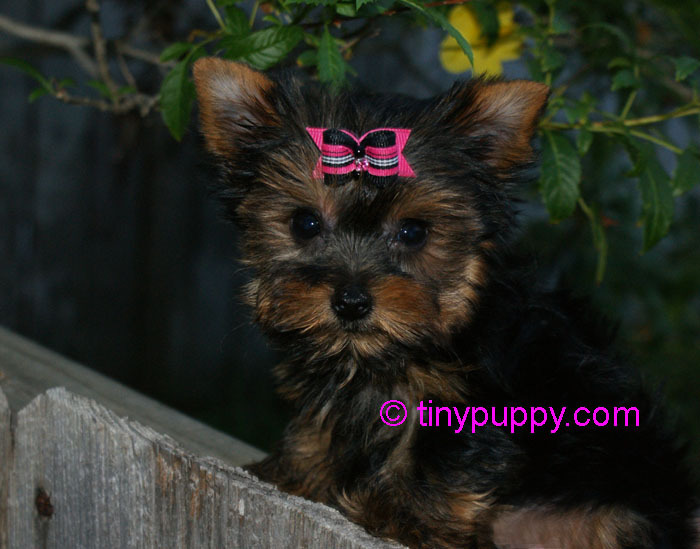 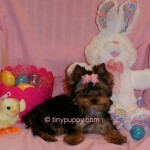 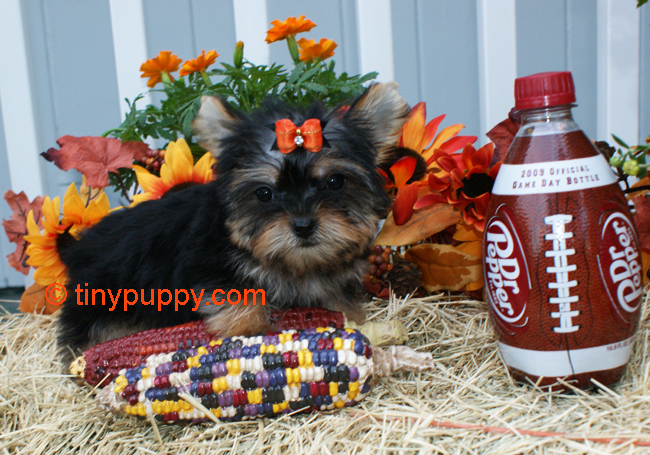 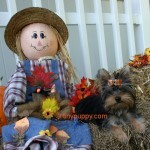 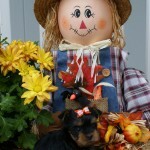 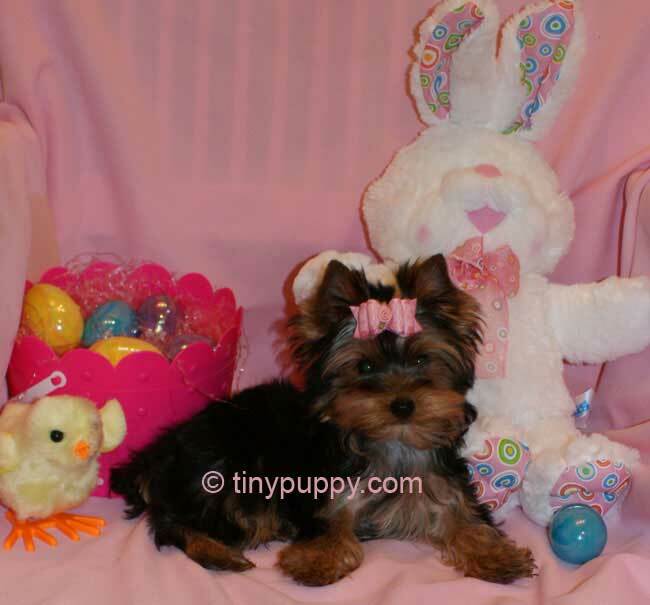 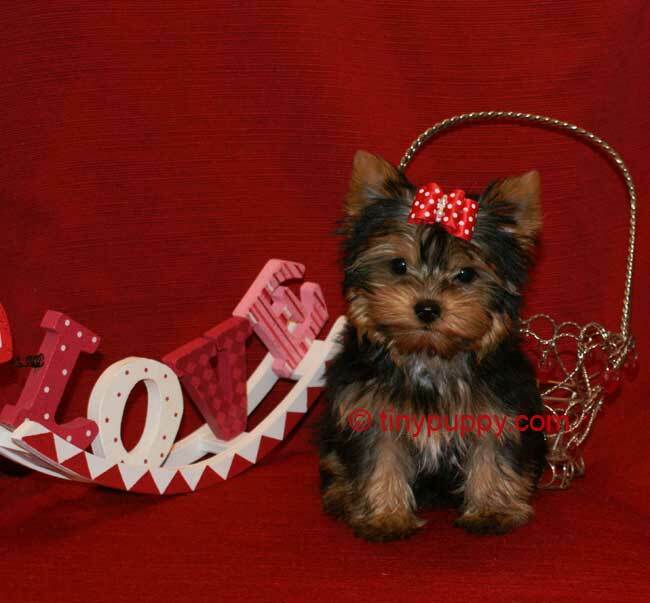 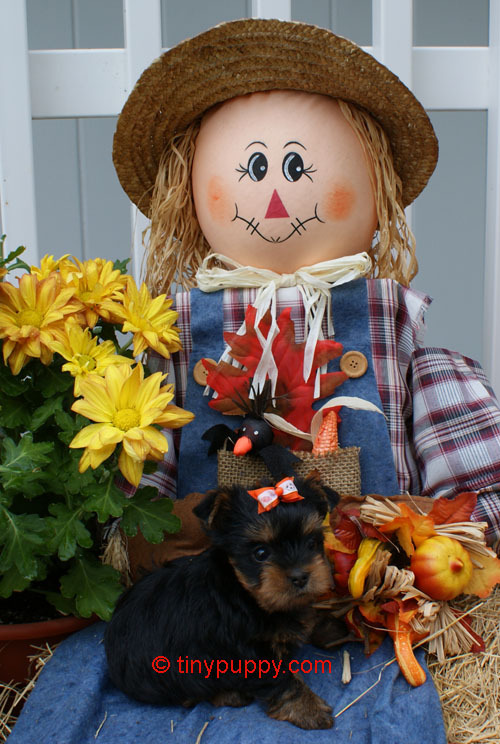 Click Here to See our available Yorkie Puppies for Sale. 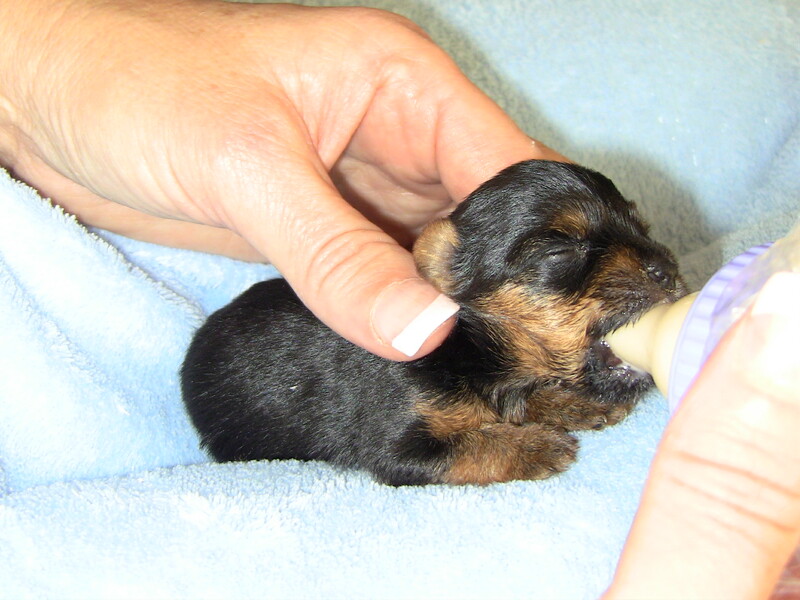 This teacup Yorkie was born only minutes before this picture was taken. 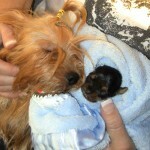 Kimberly Landau COCO PARI Fashion Designer!